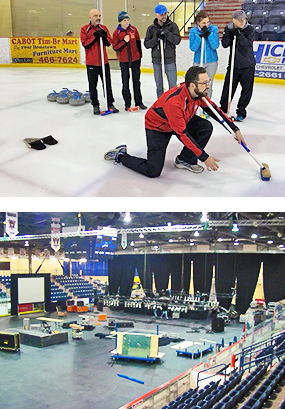 The Town of Clarenville has many great facilities that are available for rent for private parties, a workshop or conference, meetings, and special events. See the list below for available facilities, their amenities and how to book. The Bill Davis Chalet at Elizabeth Swan Park has played a vital role in many community activities over the years. The building has been recently replaced with a new, more functional space for our Town. 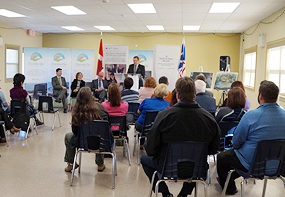 The new Chalet is a multi-purpose facility that is used by a variety of organizations in the community for local events and recreation programs. To book birthday parties or meeting space, ball tournaments, etc… in the Bill Davis Chalet at Elizabeth Swan Park, please contact (709) 466-4105 x.221. Check availability and submit your request online. To book ice time, birthday parties, or special events, please contact (709) 466-4105 x.221 for availability, rates and schedule arrangements. To book a special event in our theatre, please contact (709) 466-4105 x.221 for availability, rates and schedule arrangements. 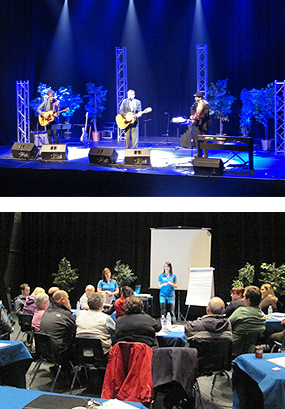 The Eastlink Events Centre located on Blackmore Avenue also offers 2 meeting spaces. 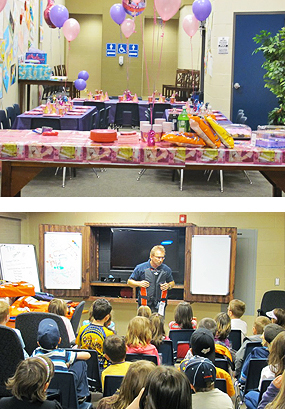 The Ted Cooper Multi-Purpose Room can used for such things as birthday party rentals, meeting space and training. The room is fully equipped with a large boardroom table, chairs, surround sound and a flat panel TV /DVD player. The Theatre Lobby is commonly used as a multi-purpose room that can be used by the community for such things as birthday party rentals, meeting space, training, conventions, etc. To book birthday parties or meeting space in the Ted Cooper Room or the Theatre Lobby, please contact (709) 466-4105 x.221 for availability, rates and schedule arrangements. To book at High School Ball Field, Tilley’s Road Ball Field, Shoal Harbour Ball Field or the High School Soccer Pitch, please contact (709) 466-4105 x.221 for availability, rates and schedule arrangements.